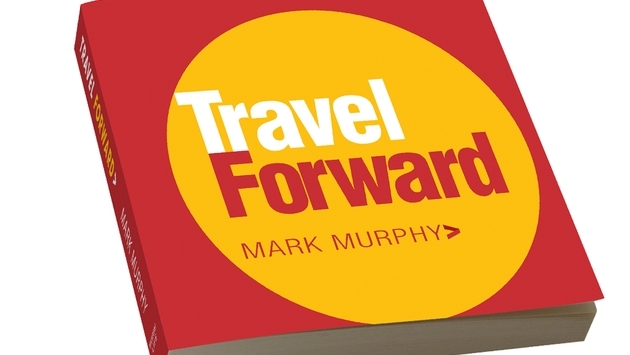 Today marks the day that my new book, Travel Forward, hits Amazon. It’s been a busy year and one of my main goals was to make sure the book would be available for Christmas orders as it makes a great gift for yourself, your clients, and anyone important to you. So what is Travel Forward all about? It’s a book that isn’t about travel, per se, but instead about using travel as a metaphor to move your life forward. That could mean business, relationships, or any personal goals you have. In fact, the book is classified as Self Help/Motivational on Amazon and with other booksellers. If you’re looking for a travel book, this isn’t it. If you’re looking for inspiration and a path to success, read on. In the book I define the keys to success and happiness in life. They are broken down into these five keys: Integrity, Love and Gratitude, Lifetime of Learning, Self-Determination, Oneness. These are the core values that reflect what I term “Travel Forward Moments”. Each of these moments gives you an opportunity to move your life forward. They are happening everywhere and all the time. You just have to open your eyes to see and recognize them. In each key area you’ll find different essays that reflect these values. You’ll read about Lenny the shoe shine guy and learn his insights. Yes, insights from a shoe shine guy! He said something while giving me the best shine I’ve ever experienced. When I remarked on his passion for shining shoes, he simply shrugged and said, “You choose how good you want to be…” It stopped all of my other thoughts as he said it and I asked him to repeat it for me. It became the basis for an essay in the chapter about Self Determination. Following each essay, you’ll find exercises that you can do to move your life forward. These exercises will prompt you to take positive steps in your life while making you think and reflect. On a travel note, I write about the Truth at the Pyramids and an experience I had in Egypt during the peak of the unrest there in 2011. In the shadows of the pyramids I met a family from Alexandria, Egypt, who were there for the first time. We shared that experience, one that took place because of the wonders of travel. It opened my eyes to a different culture, and set the stage for the chapter called Oneness. As the Travel Forward movement gets underway, take some time to share #TravelForward moments using the hashtag as you see here. It might be someone’s kind gesture as they hold a door for you or a mind blowing travel experience. Whatever it is, I hope you’ll share it with the world. I hope you’ll take a minute explore my book Travel Forward, and if inclined, buy it. As I say in the inside flap, "Change Your Life, Change the World". I hope you’ll find some inspiration to do just that in it’s pages. Get your own signed copy at Amazon. Quantities of signed copies are limited, so don’t delay. Follow Mark on Twitter @MurphyTravels.